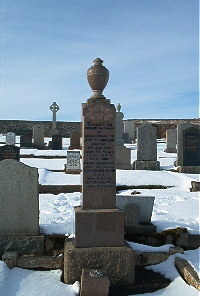 Erected by husband and family in loving memory of. Jane C Sinclair died 21st June 1959 aged 66. Husband Alexander Gunn DCM of Rhemullun Dunbeath died 23rd March 1971 aged 75.